My husband has sensitive skin so sometimes it is difficult to find a laundry detergent that doesn't irritate him. Nice fragrance (without it being overpowering) and no skin irritation. This stuff is great! It smells sooo good and is safe! No complaints here! Hands down the best natural Laundry soap! Smells great! 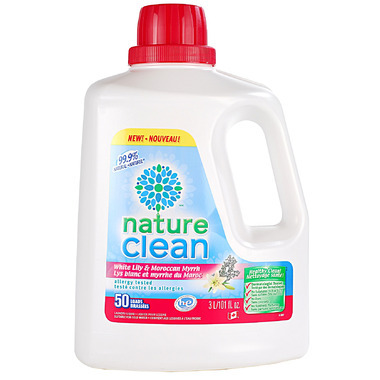 Great laundry detergent, cleans well and has a gentle clean scent. Will purchase again. The best laundry detergent!!! It smells very nice, wash my clothes and those of my child perfectly. Compared to the regular detergents, this one works very good on stains. I recommend it! The best natural laundry liquid I have used! It smells amazing and works great. Will certainly be buying this again. Great laundry detergent & the smell is nice! Not super impressed and the smell is off putting.